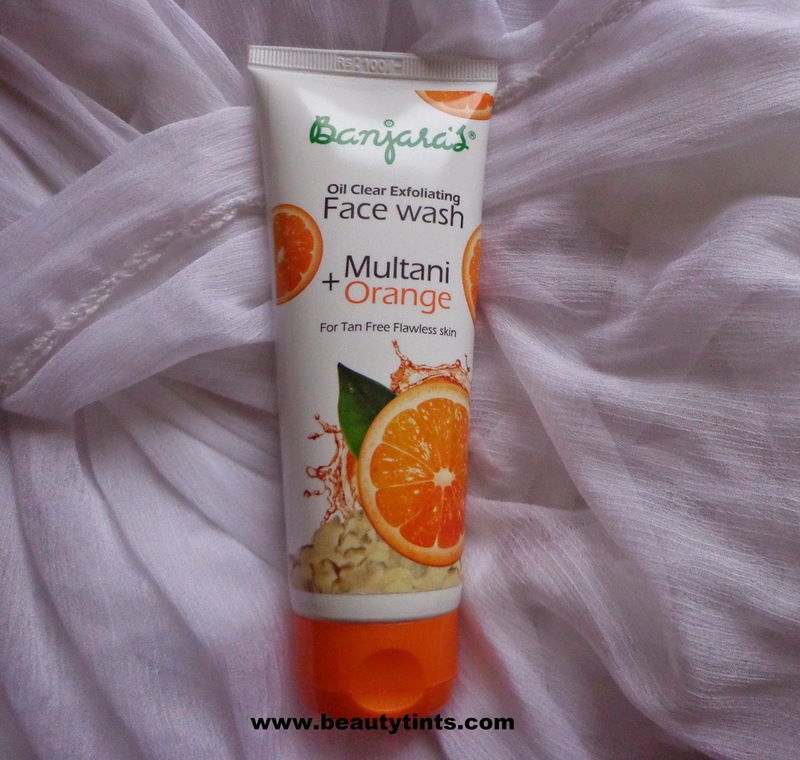 Sriz Beauty Blog: Summer Series -Banjara's Multani plus Orange Oil Clearing Exfoliating Face Wash Review! Summer Series -Banjara's Multani plus Orange Oil Clearing Exfoliating Face Wash Review! Today I am reviewing Banjara's Multani plus Orange Oil Clearing Exfoliating Face Wash as a part of Tuesday Summer Series.This face wash is a new launch from Banjara especially for the summer season.It is a Oil clearing,Exfoliating as well as Anti tan face wash.
Banjara's Multani plus Orange Oil Clearing Exfoliating Face Wash Review! 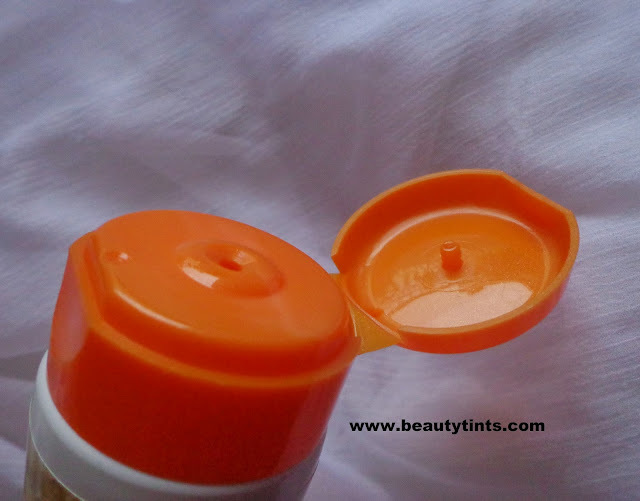 Packaging : It comes in a super attractive white and orange tube packaging with a flip cap. 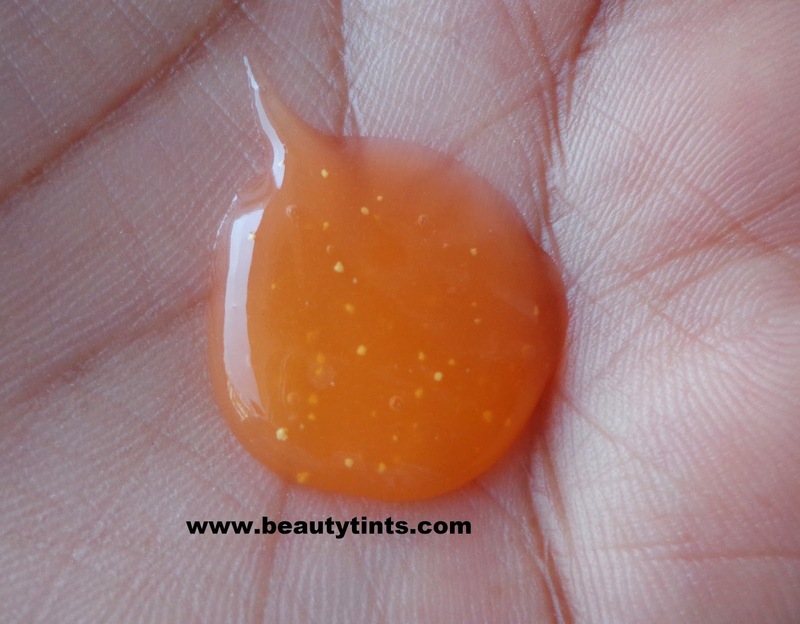 Color and Texture : This is a pale orange colored gel face wash with scrub kind of particles. 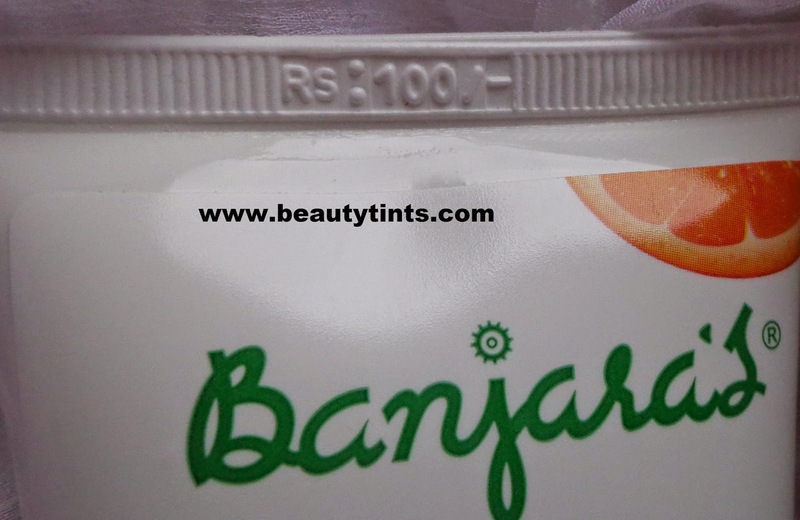 What the product Claims : Banjara's Oil Clear Exfoliating Face wash Has an Unique combination of Multani mitti and Orange peel to give you the flawless beautiful skin. Mulatni Miiti absorbs excess oil, controls accumulation of sebum thereby prevents pimples from occuring. Orange peel gently exfolates the skin and removes dead skin cells to reveal a soft and supple skin. 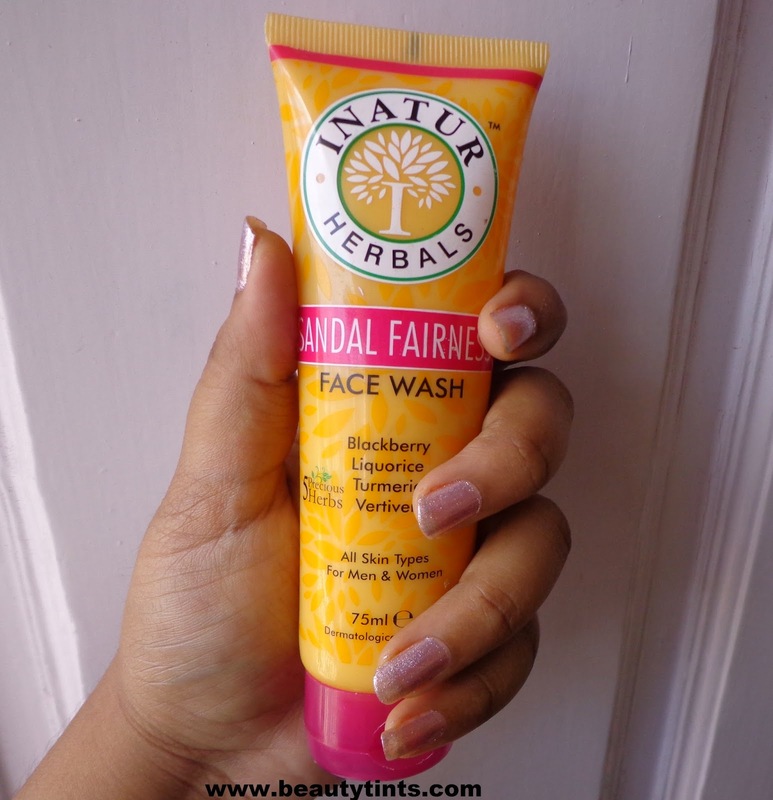 This soap free face wash is enriched with natural moisturizers and anti oxidants that helps in getting rid of sun tan and ill effects of pollution leading to a tan free skin. Directions : Moisten your face and neck.Take ample quantity of face wash and massage gently avoiding eye area.Rinse thoroughly and pat dry..
Key Ingredients : Multani Mitti,Orange peel powder. 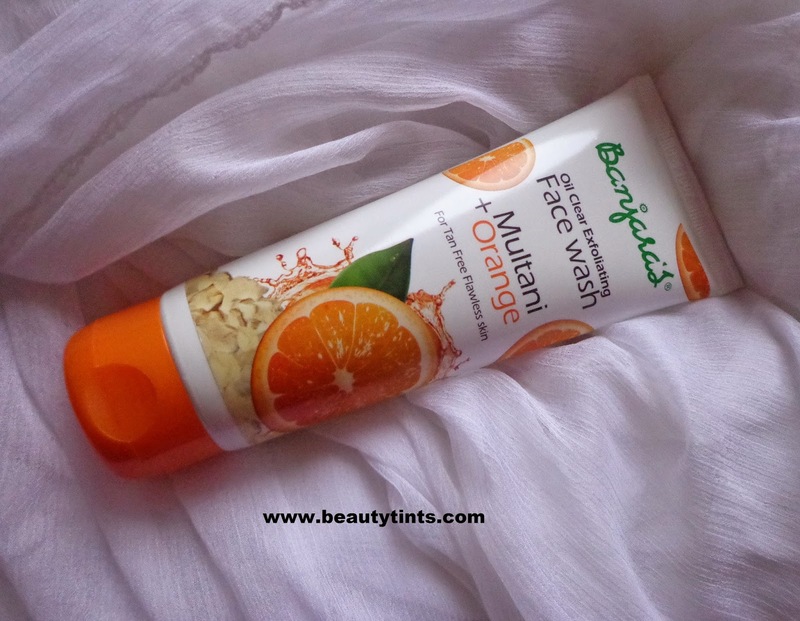 My View On the Product : The face wash comes in a tube packaging with a flip cap which is super easy to use and carry.This is a pale orange gel face wash with a super refreshing orange peel fragrance which is so soothing.As it is soap free gel,it does not lather much but cleanses the skin super thoroughly making it squeaky clean.It gives a nice glow to the face with out making it dry and stretchy.It makes skin smooth and soft.It does not leave any residue behind and gets rinsed off easily.It is very mild and gentle on the facial skin.The scrub particles in it might be the powdered orange peel,which helps in gentle exfoliation of dead cells off the skin.It helps in controlling oil, especially on the T-zone for 1-2 hrs.It contains the goodness of effective oil controlling ingredients like multani mitti and orange peel.It also removes tan to a bit on regular usage,may be it need some more time to show the result. 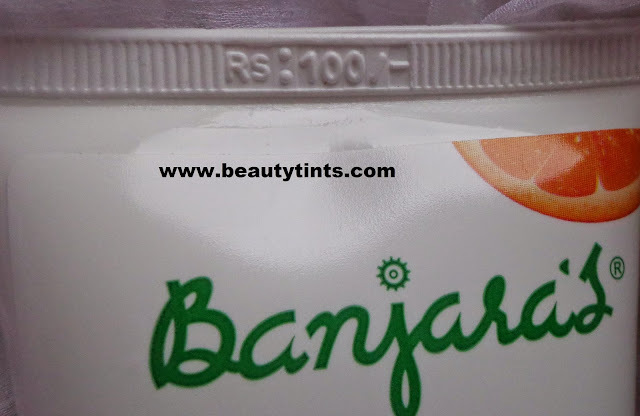 Final Conclusion about Banjara's Multani plus Orange Oil Clearing Exfoliating Face Wash : Those who are looking for a good herbal face wash at an affordable price,which helps in making the skin oil free and radiant with out being harsh on the skin,should try this especially in this Summers!! !